➤	A grommet is a ring inserted into a hole through a thin material, used to prevent tearing or to cover the sharp edges of the pierced material. 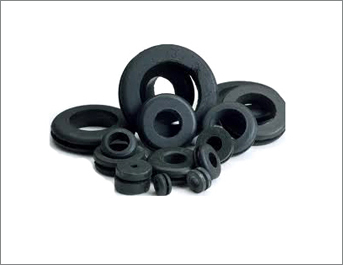 ➤	We manufacture Rubber Grommets of different shapes & sizes made from a variety of rubber grades like Neoprene, Nitrile, Silicone, EPDM, Viton, or Natural Rubber. We can also manufacture them according to customer’s specific requirements. 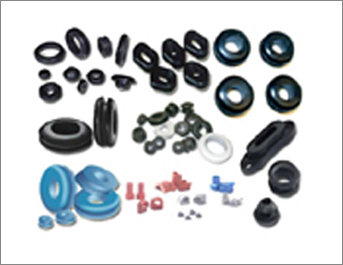 ➤	Applications: Electrical & Vibration Isolation, Sealing, Compression & Insulation, Noise Control, etc.